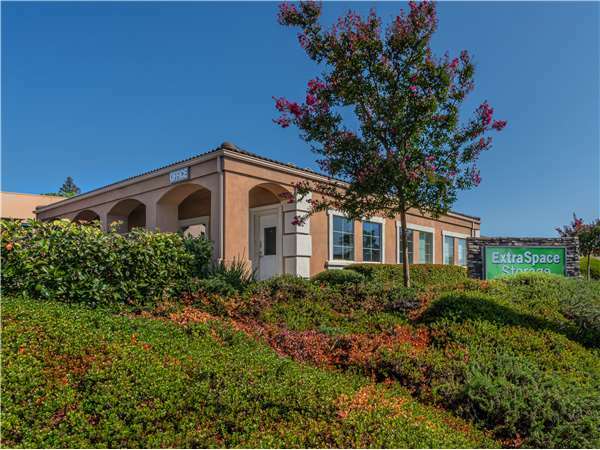 Located on Foothills Blvd just north of Cirby Way, Extra Space Storage serves residents of Roseville, Citrus Heights, Antelope, Foothill Farms, and more. Locals will recognize our facility north of Northern California Power Agency. With a variety of storage units, vehicle storage, and exceptional security, Extra Space Storage on Foothills Blvd can accommodate residential and commercial storage needs in Roseville! Our Foothills Blvd storage facility offers unit sizes from 4x5 to 25x30 with convenient features like indoor access, first-floor access, and drive-up access. No matter what you need to store, we have the space for you! With excellent security measures like 24-hour video surveillance and electronic gate access, you can store your valuable items with confidence at our Roseville storage facility. Looking for secure vehicle storage in Roseville? Extra Space Storage can accommodate everything from motorcycles to RVs with covered and uncovered outdoor parking spaces and enclosed drive-up units. At Extra Space Storage, we're dedicated to providing reliable, high-quality self storage backed by incredible customer service. With a well-maintained facility and a friendly, professional team, we'll go above and beyond to ensure your storage needs are taken care of. Contact us today to reserve a storage unit in Roseville! Great people. Always very nice even when I couldn’t make a payment. Was afraid to talk to them but they were so nice! The truck I was allowed to use was a huge bonus too! Great people, great prices, great location! Thank you! Extremely nice and professional! I recommend Extra Space Storage is a place to store your stuff! Truly a 5 star company! Great location centrally located to Roseville. Clean and well kept property. The manager Carrie and staff were very friendly and helpful. Great pricing incentives. Great service, I recommend them to anyone and everyone. Cirby Way & Foothills Blvd. Across from the railroad yard.